The portable Table Grill by the Danish manufacturer Eva Solo must be the simplest and lightest grill around. This handy grill is perfect for picnics and barbecues, and so easy to use. 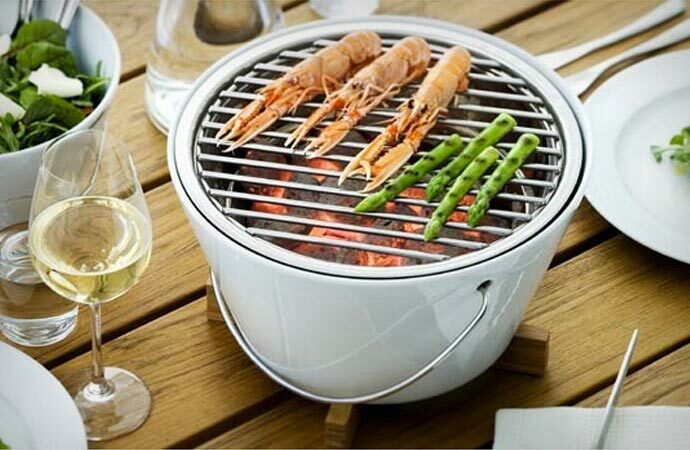 Just fill it up with charcoal (it can hold up to 1 kg of charcoal or briquettes), light it up, put the grid on the porcelain bowl, and barbecue away. 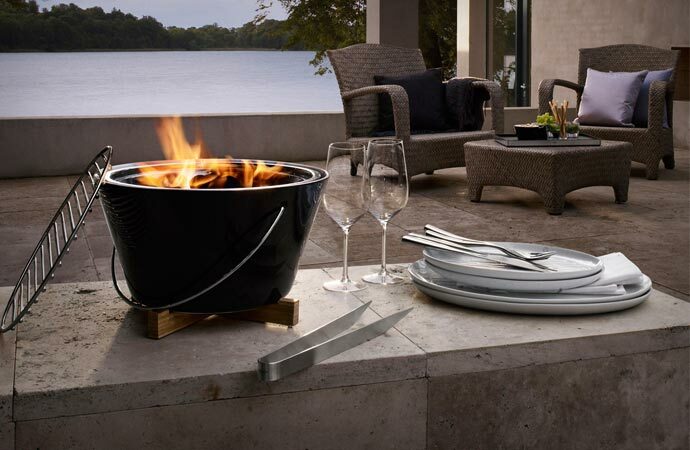 The Table grill is a wonderful combination of functionality and great design. 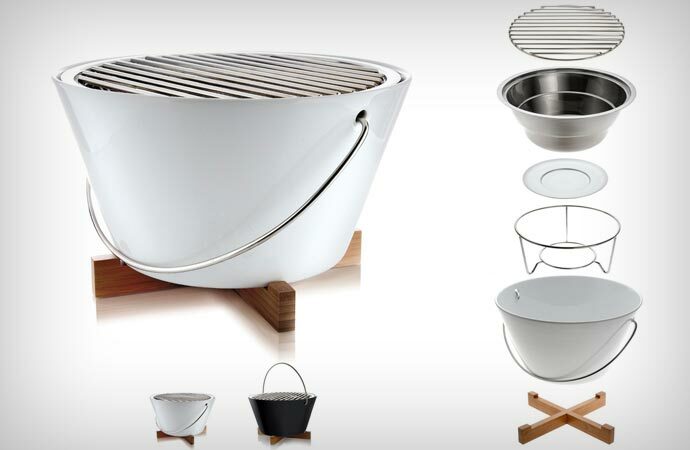 The grill bowl is made from sturdy low-maintenance fireproof porcelain with a teak base for heat protection. 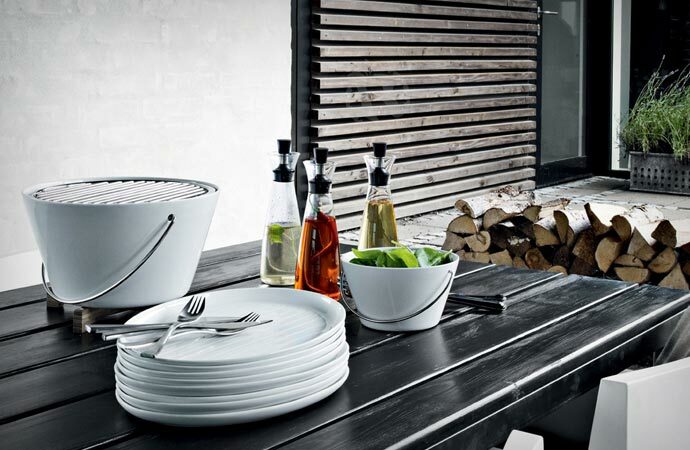 The bowl, which comes in two colours (black and white), has a dual function – when not used for grilling, it can serve as a salad bowl. The grill also has a practical handle which makes it simple to carry around. The grid itself is made from stainless steel, and is 30 cm in diameter. You can use the Table Grill just about anywhere – at your garden table, on the beach, in the park. Both the bowl and the grid can be washed in the dishwasher. Eva Solo has been awarded with a few prestigious awards for the Table Grill, including the Baden-Wurttemberg International Design Award, the Good Design Award, the IF Design Award and the DesignPlus Award.